Home What is DisplayPort vs HDMI: Which Display Interface is the Best? DisplayPort vs HDMI: Which Display Interface is the Best? The technological world is a confusing one, with alternatives and competition to each and every technological advancement out there. Choosing between different standards is becoming harder, as all the available options seem similar to one another. One such standard is the display interfaces. If you’re a normal consumer, I am sure the word display interface would mean HDMI for you. The HDMI standard has become wildly successful being used in TVs, set-top boxes, Blu-ray players, A/V receivers, gaming consoles, camcorders, and even smartphones. Considering HDMI’s pervasiveness, I wouldn’t blame you for not being aware of its biggest competitor – The DisplayPort standard. Like the HDMI standard, both can carry HD quality digital video and audio signals, including support for High-bandwidth Digital Content Protection (HDCP), making them a clear winner over the previously used media interface – DVI. But when you pit HDMI with DisplayPort, which one of these interfaces comes out on top? Which one is more superior and flexible than the other? We hope to answer these questions as we bring to our take on DisplayPort vs HDMI. The HDMI (High Definition Multimedia Interface) specification was designed back in 2002 and brought out to production in 2003 by six consumer electronics giants: Hitachi, Panasonic, Philips, Silicon Image, Sony, and Toshiba. HDMI Licensing, LLC, which is a subsidiary of Silicon Image, now controls the HDMI specification. Any manufacturer willing to include HDMI ports onto their products needs to pay a royalty to the company. Conceptualized in 2006 and finally created in 2008, the DisplayPort specification was developed by the Video Electronics Standards Association (VESA), a large consortium of manufacturers ranging from AMD to ZIPS Corporation, including but not limited to Sony, Panasonic, Silicon Image and Toshiba. The specification still remains under control of VESA only. 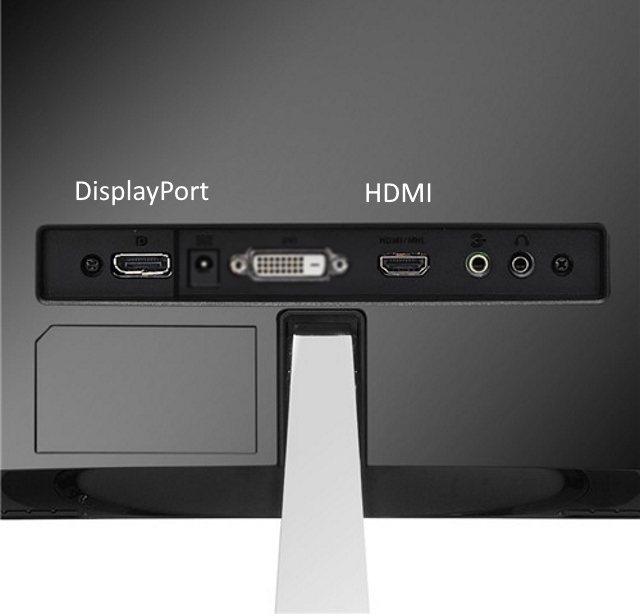 Unlike HDMI, DisplayPort is a royalty-free product. The HDMI connectors are all made up of 19 pins but are available in different sizes. 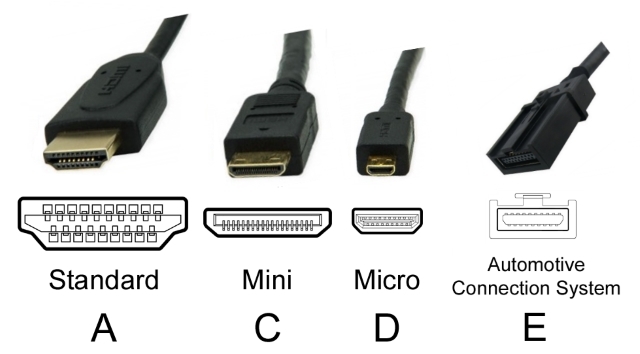 Type A (Standard), is the most widely used type of HDMI connector, commonly found on TVs, projectors, set-top boxes, and laptops. The Type C (Mini) HDMI connector is used majorly on tablets and laptops having a slim profile or ultrabooks. The Type D (Micro) is also used on slimmer tablets and high-end smartphone devices. While HDMI is primarily a consumer-focused product, there exists a Type E HDMI connector as well, that is used for automotive purposes. 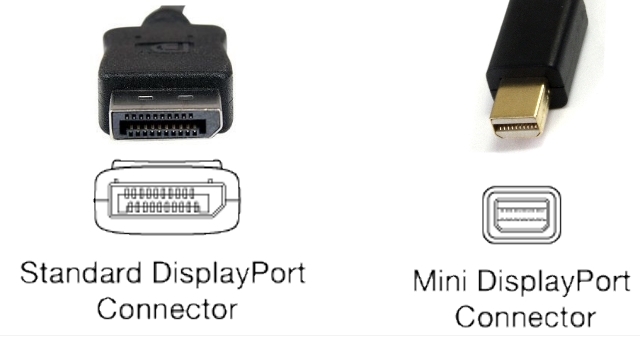 The DisplayPort connectors have 20 pins and are available in just two sizes. The DisplayPort (Standard) is used in business-oriented laptops and desktops, though this trend is definitely shifting, with more and more manufacturers including it in their mainstream display devices. A smaller alternative to the Standard DisplayPort, the Mini DisplayPort is primarily used in Apple’s devices (after 2013) and Microsoft’s Surface tablets. 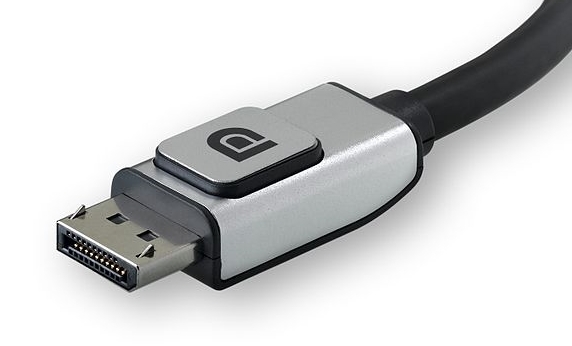 Both HDMI and DisplayPort make use of friction lock, which basically refers to maintaining a tight fit that keeps the plug connected to the socket. While no such feature has been mentioned in the official standards for either interface, the manufacturers continue to use friction lock along with other proprietary locking mechanisms which are designed to prevent the cables from coming off loose. Lets’s compare the HDMI and DisplayPort cables, shall we? Standard HDMI Cable With Ethernet: The bandwidth and resolution limit remains the same as the Standard HDMI, except that this cable also adds support for 100 Mbps Ethernet. 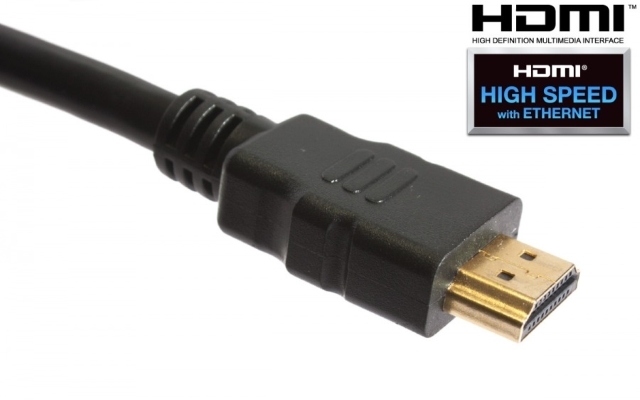 High-Speed HDMI Cable: The bandwidth takes a jump here, rising to support resolutions of up to 2160p. High-Speed HDMI Cable With Ethernet: The bandwidth and resolution limit remains the same as the High-Speed HDMI, except that this cable also adds support for 100 Mbps Ethernet. There are many great HDMI cables available in the market, some of which you can check out here. DisplayPort cables, on the other hand, are of one type only. DisplayPort cables can be used to display resolutions up to 3840 by 2160 pixels at a constant refresh rate of 60Hz. Furthermore, it also supports all 3D video formats. That being said, DisplayPort cables are unable to carry Ethernet along with the video data bits. HDMI cables don’t have any specified lengths for their cables, although depending upon the material, lengths can vary. As per the HDMI Licensing LLC, HDMI signals transmitted over CAT 5 or CAT 6 cable can be used for distances of up to 164 feet, over coaxial cable for up to 300 feet, or over fiber for more than 328 feet. DisplayPort cables, on the other hand, can support comparatively smaller distances, in order to maintain their high-resolution displays. A passive-copper DisplayPort cable can be used up to 50 feet and an active-copper DisplayPort cable for 65 feet. Also, the increasing trend of fiber optics has been adopted by DisplayPort as well, allowing fiber DisplayPort cables to transmit data over hundreds of feet. Currently, there are two versions of HDMI in use – v1.4, and v2.0. HDMI 1.4 supports resolutions of 4096 x 2160 at 24Hz or 3840 x 2160 at 30Hz, at a maximum bandwidth of 10.2 Gbps. HDMI 2.0 takes things to the next level, by maintaining the same resolution but elevating the refresh rate to 60Hz and also lifting the bandwidth to 18 Gbps. As of 2017, a newer version for HDMI – v2.1 has been conceptualized, but it will only come into actual use by fall. The added features of this new version will be that it would support resolutions up to 10K with frame rates of 120 fps, and uplifting the bandwidth to as high as 48 Gbps, which is a huge improvement over HDMI 2.0’s mere 18 Gbps. As for DisplayPort, there are three different versions in use as well, v1.2, v1.3, and v1.4. 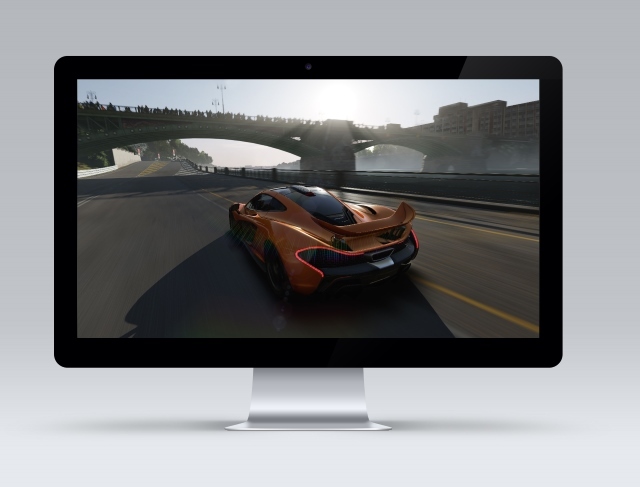 DisplayPort v1.2 can support video resolutions of up to 3840 x 2160 pixels (4K) at a refresh rate of 60Hz, and it supports all common 3D video formats. As for bandwidth, it can manage 17.28 Gbps. On the other hand, DisplayPort v1.3 can support resolutions up to 8192 x 4320 (8K) at 30 Hz, or two simultaneous 4K streams. It also doubles the bandwidth to 32.4 Gbps. Finally, expected to be launched in 2017 is VESA’s biggest update, the DisplayPort v1.4, which can support 8K video (7,680 by 4,320) at a 120Hz refresh rate, while also raising the bandwidth to 40 Gbps. In terms of audio, there’s practically not much to separate the two as both the latest versions of HDMI and DisplayPort support up to eight channels of digital audio at up to 24-bit and 192kHz. However, the DisplayPort doesn’t have an audio return channel. What that means is that you cannot use your DisplayPort device to send audio data “upstream” to an A/V receiver. In simpler terms, a DisplayPort cannot be used to hook up an external sound system to your TV, a feat that HDMI v1.4 and above can easily achieve. Limited to a single audio-video stream, HDMI ports allow you to use only one system at a time. While that’s great for the single display users, the current trend seems to be leaning towards multiple displays. Initially used by stock brokers, gamers and power-users alike are all making the switch to multiple displays. A single DisplayPort interface can support up to four monitors at 1920-by-1200-pixel resolution each, or two monitors at 2560-by-1600-pixel resolution. 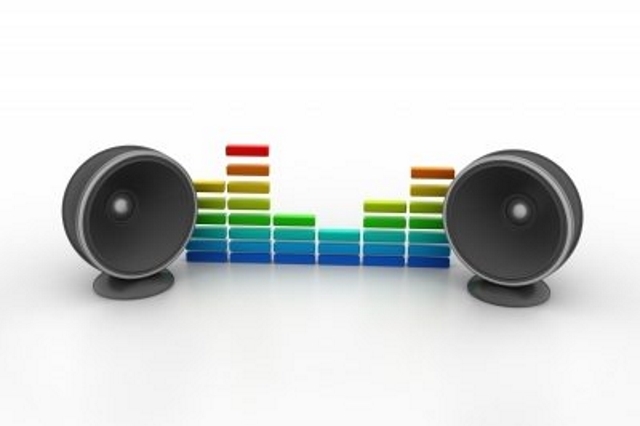 Each display would be receiving independent audio and video streams. Furthermore, using daisy chaining on modern GPUs, one can use as much as six displays to a single source. HDMI is developed primarily for consumer-electronics applications: Blu-ray players, TVs, video projectors, and similar purposes. It has been widely implemented on all media devices around you, and you’re most likely to be using one already. DisplayPort, on the other hand, is designed as the ultimate display interface for computer devices. 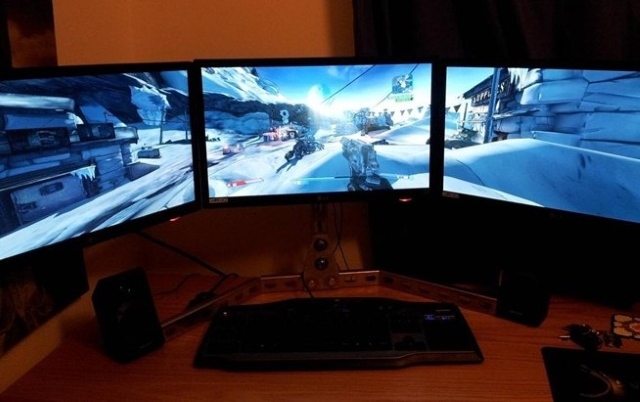 While it does not appeal the users for the general purposes with single displays, the ability to hook up multiple monitors to your computational device appeals a lot to gamers, stock brokers, programmers, designers and other power users. DisplayPort vs HDMI: Which Interface To Choose? Considering each one’s primary uses, both HDMI and DisplayPort are here to stay and further grow. Most of the manufacturers believe that providing an HDMI interface is enough. Though, as the demand for multiple displays are increasing, we are slowly seeing increased adoption of the DisplayPort interfaces. Although an HDMI port will satisfy all your interests, there’s no harm in buying devices with a DisplayPort as well. Its support for multiple displays and other monitors via adapters gives it greater flexibility as compared to HDMI ports. Well, those were my views on DisplayPort vs HDMI display interfaces but I’d love to know what you think. Share with us your views to keep the conversation going in the comments section below.